If you ever visit the extravagant dome within St. Paul’s Cathedral in London, be careful what you say. As Lord Rayleigh discovered circa 1878, the vaulted structure exhibits an interesting acoustics phenomenon: Whispers from one part of the dome can be clearly heard in other areas. Rayleigh called the effect a “whispering gallery”. Surprisingly, you can observe a similar effect in another field of science entirely: light waves traveling in an optical ring resonator. What Is an Optical Ring Resonator? The waveguide cores are placed close together and light waves are coupled from one waveguide to the other. An optical ring resonator (left) exhibits an effect similar to that of a whispering gallery (right), but with light waves instead of sound. 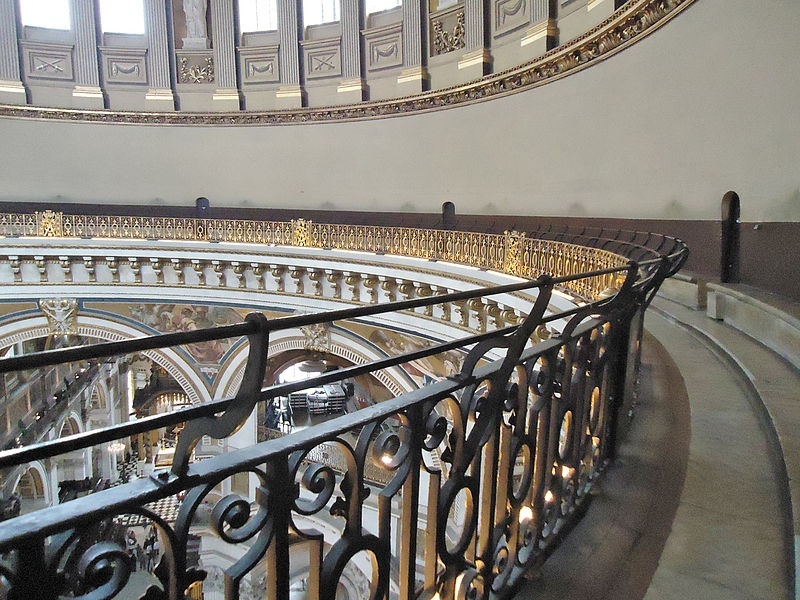 Right: The whispering gallery at St. Paul’s Cathedral in London. Image by Femtoquake — Own work. Licensed under CC BY-SA 3.0, via Wikimedia Commons. In the field of silicon photonics, optical ring resonators show potential as components for photonic integrated circuits. Due to the resonators’ high refractive index contrast, extremely small circuits can be produced. In addition, two or more optical ring resonators can be combined to develop high-order optical filters with compact size, minimal losses, and easy integration into existing networks. Other applications of optical ring resonators include tunable mechanical sensors, biosensors and spectroscopy, as well as quantum photon research. In an optical ring resonator, light propagates around the loop and remains in the waveguides because of total internal reflection (TIR), a phenomenon in which light rays do not refract through the boundary of the medium they strike. Light propagation in an optical ring resonator. Since only a few wavelengths reach resonance within these loops, optical ring resonators are used as filters. The transmission loss of the resonator’s coupler balances the loss for the propagating wave, which is ideal for notch filters especially. 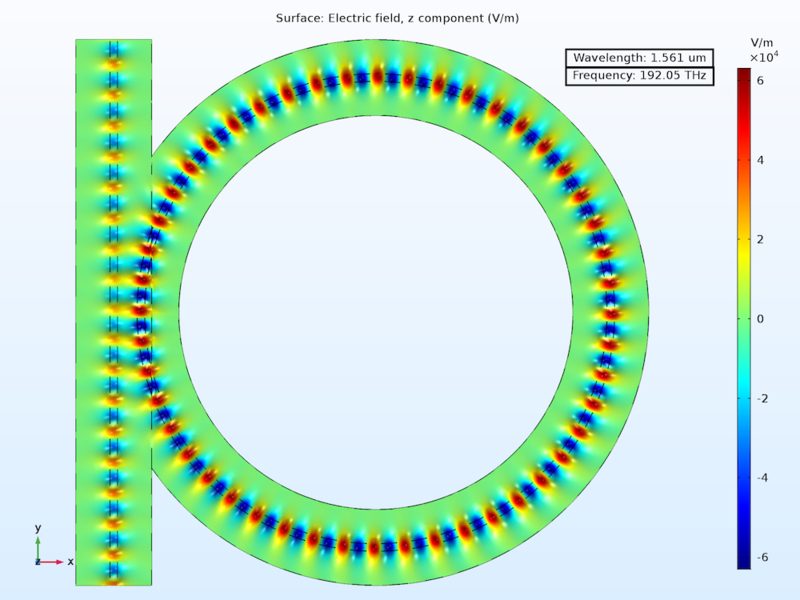 Wave optics modeling software is helpful for evaluating the spectral properties of optical ring resonators. 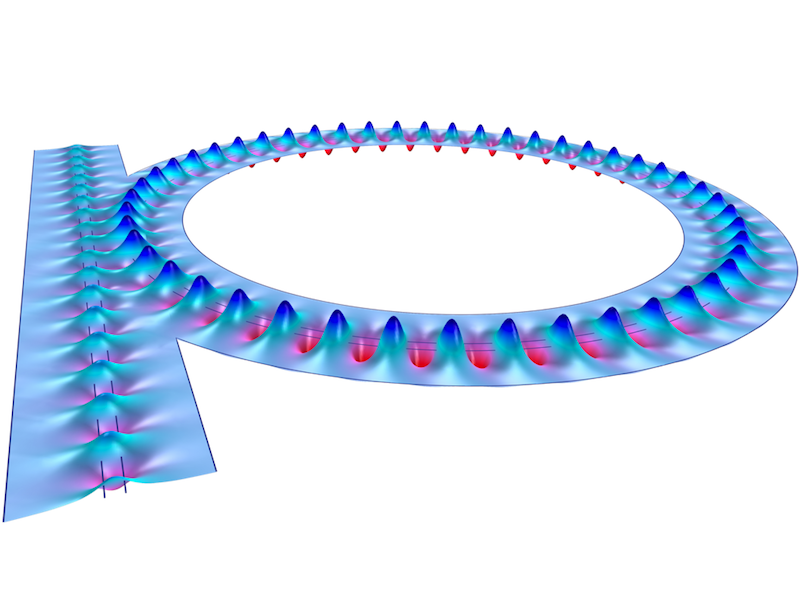 For example, you can use the COMSOL Multiphysics® software and the add-on Wave Optics Module, which includes the predefined Electromagnetic Waves, Beam Envelopes interface. 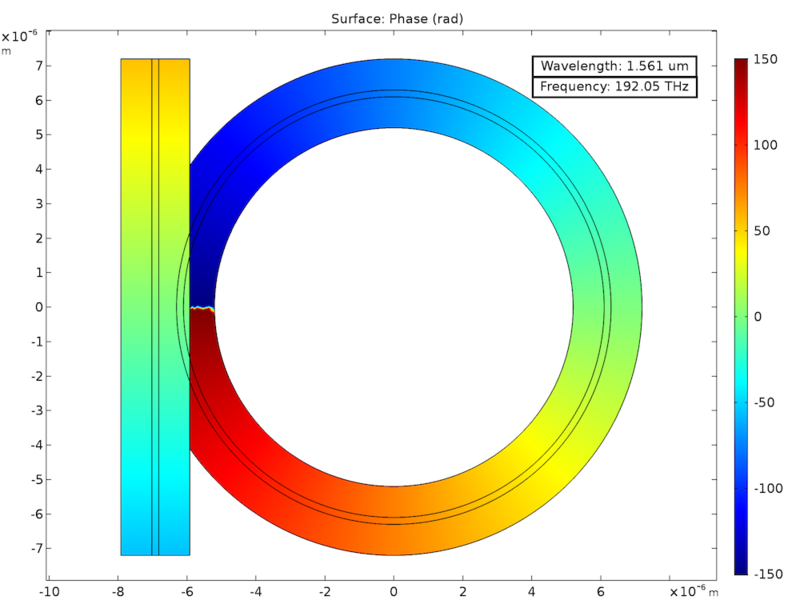 This interface is used to model optical wave propagation over many wavelengths and the results can help you evaluate the performance of an optical ring resonator as a notch filter. The Electromagnetic Waves, Beam Envelopes interface is based on the beam envelope method, a numerical method used to analyze the slowly varying electric field envelope for an optically large simulation. When compared to traditional optical analysis methods, the beam envelope method doesn’t require a fine mesh to resolve the propagating waves. This makes it a computationally efficient option. An optical ring resonator with a phase jump at the boundary between both waveguides (y = 0). At the boundary between the straight and ring waveguides, there is a discontinuous phase approximation. By implementing a Field Continuity boundary condition, you can handle this phase discontinuity as well as that of the field envelope. The boundary condition makes it so the electric and magnetic fields have continuous tangential components at the boundary, even with a phase jump. To calculate the spectral properties of the model, boundary-mode analyses and a frequency-domain study are run using the specialized modeling features for wave optics. Below, you can see a field plot of the resonant wavelength. These results show that when the field in the straight waveguide interferes with the field from the ring waveguide, they are out of phase; therefore, the outgoing field in the straight waveguide is almost zero. Since nearly no light is being transmitted from the straight waveguide, this optical ring resonator can be considered a well-designed notch filter. 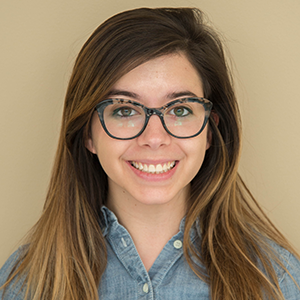 You could test the parameters of the model to design an improved optical ring resonator that completely blocks light at the resonant wavelength — perhaps even by building an app to efficiently run multiple analyses. It is really a good thing. Can you please help me how to work on add-drop ring (even more than one ring) resonator with COMSOL ? I really need this.